Stereolithography (SLA) uses a build platform submerged into liquid photopolymer resin. A single point laser then traces a cross-sectional area (layer) through the bottom of the tank and solidifies the build material. The platform lifts up slightly to let a new layer of resin flow beneath the part. This process is repeated layer by layer to produce a solid part. Typically, finished parts are cured by UV to improve mechanical properties. 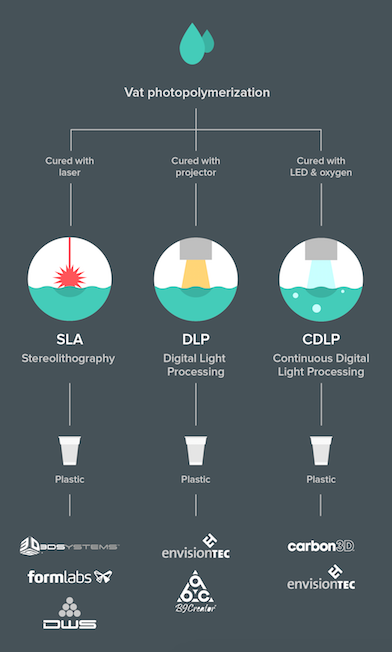 Direct Light Processing (DLP) is similar to SLA, except that DLP uses a digital light projector to flash a single image of each layer all at once. Because the projector is a digital screen, the image of each layer is composed of 3D pixels – small rectangular bricks called voxels. DLP can achieve faster print times compared to SLA for some parts, as each entire layer is exposed all at once. Continuous Direct Light Processing (CDLP) produces parts in the same way as DLP however it relies on continuous motion of the build plate in the Z direction. Projecting the layer image through an oxygen permeable UV screen allows uncured resin to separate the object and window by controlling the oxygen flux. This allows for faster build times since the printer doesn’t stop to separate the part from the build plate after each layer is produced. Fused Deposition Modeling (FDM) (or Fused Filament Fabrication) uses a filament of solid thermoplastic material, extruded through a heated nozzle. The printer precisely and continuously lays down melted material at a location, where it instantly cools and solidifies. This builds up a part layer by layer. Material Jetting (MJ) dispenses a photopolymer from hundreds of tiny print-head jets. This deposits build material in a rapid, line-wise fashion compared to point-wise deposition technologies that follow a path to complete the cross sectional area of a layer. As the droplets are deposited to the build platform, they are cured by UV light. MJ processes require support structures that are printed during the build and composed of a dissolvable material that is removed during post-processing. 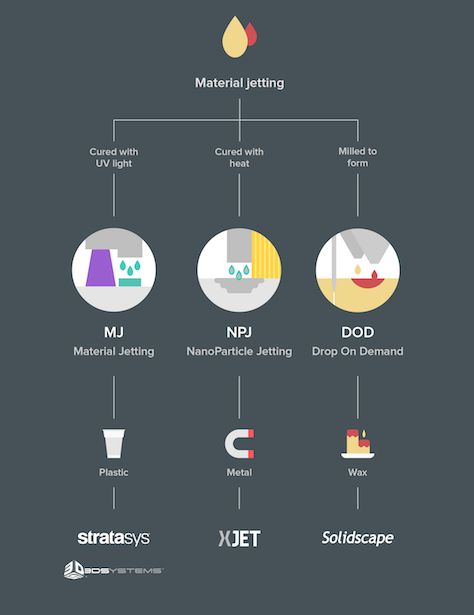 Nano Particle Jetting (NPJ) uses a liquid, which contains metal nanoparticles or support nanoparticles, loaded into a printer cartridge and jetted onto the build tray in extremely thin layers of droplets. High temperatures inside the build envelope cause the liquid to evaporate leaving behind metal parts. Drop On Demand (DOD) material jetting printers have two print jets: One to deposit the build materials (typically a wax-like material) and another for dissolvable support material. 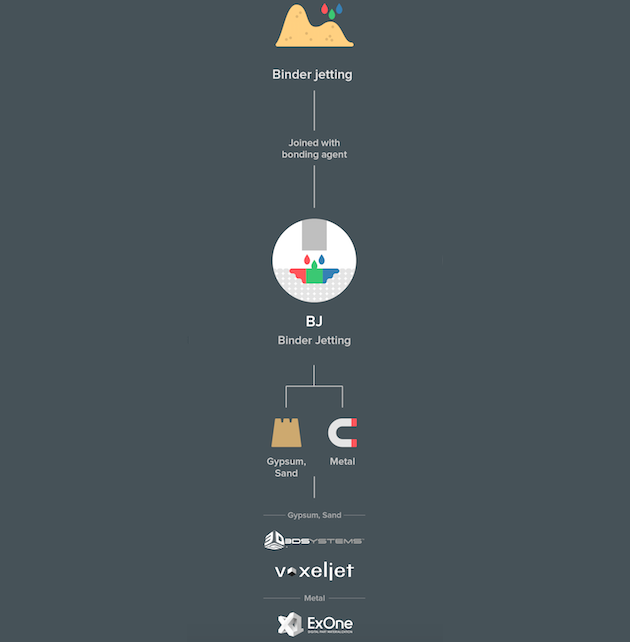 DOD printers follow a set path and jet material (in a point wise fashion) to print a cross-sectional layer. These machines also employ a fly-cutter that skims the build area after each layer is produced to ensure a perfectly flat surface before printing the next layer. Binder Jetting (BJ) is similar to SLS in that an initial layer of powder is required. The print head moves over the print surface depositing binder droplets (typically 80 microns in diameter) to produce a layer. The powder bed is then lowered and a new layer of powder is applied. Once a solid part is generated, it is then left in the powder to cure and gain strength. The part is then removed from the bed and the unbound powder removed via pressurized air. Sometimes an infiltrant is added to improve mechanical properties. The binder jetting nozzles can contain color droplets, allowing for complex color printing. 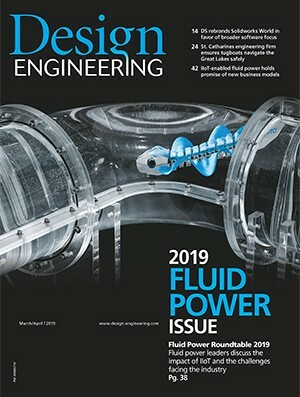 Multi Jet Fusion (MJF) works similarly to other Powder Bed Fusion technologies with an added step: A detailing agent. A layer of build powder is first applied to a work area. A fusing agent is then selectively applied where the particles are to be fused together, followed by a localized detailing agent that is administered where the fusing action needs to be reduced or amplified. The detailing agent reduces fusing at the boundary of the parts to produce features with sharp and smooth edges. The work area is then exposed to fusing energy to solidify the powder particles. Selective Laser Sintering (SLS) uses a laser to sinter thin layers of powdered material one layer at a time to create a solid structure. The process begins by spreading an initial layer of powder over a build platform. The cross section of the part is then sintered by the laser (solidifying it) at which point the build platform drops down one layer thickness. A fresh layer of powder is applied and the process is repeated until a solid part is produced. The completed component is encased in unsintered powder, which acts as support. The part is removed from the powder and cleaned, typically with pressurized air. 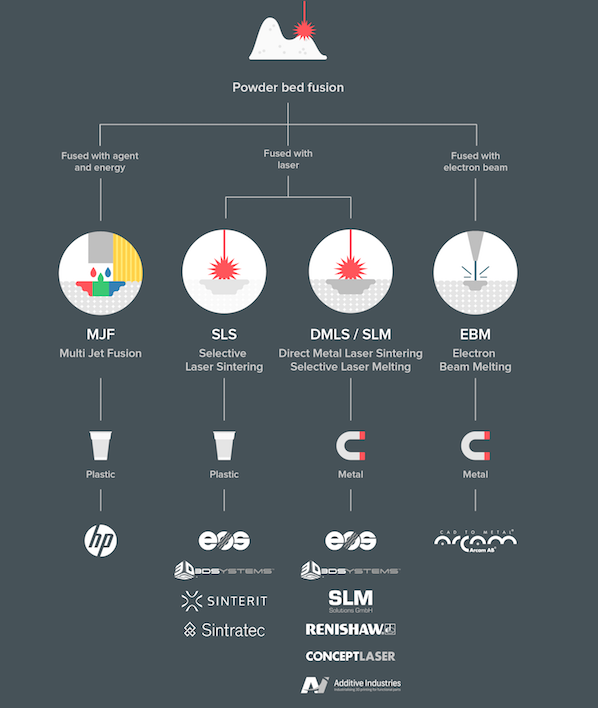 Direct Metal Laser Sintering (DMLS) and Selective Laser Melting (SLM) produce parts via the same method as SLS, except that DMLS and SLM are used in the production of metal parts. SLM achieves a full melt of the powder while DMLS sinters the powder. This means that DMLS only works with alloys while SLM can use single component metals. Unlike SLS, DMLS and SLM require support to compensate for the high residual stresses generated during the build process. This helps limit the likelihood of distortion occurring. Electron Beam Melting (EBM), in contrast to other PBF technologies, uses a high energy beam that scans across a thin layer of metal powder causing localised melting and solidification over a specific cross sectional area. These layers are built up to create a solid part. Electron beam systems produce less residual stress in parts, resulting in less distortion and less need for anchors and support structures. While EBM uses less energy and is faster than SLS, minimum feature size, powder particle size, layer thickness and surface finish are typically larger. EBM parts are also produced in a vacuum and the process can only be used with conductive materials. Laser Engineered Net Shape (LENS) utilizes a deposition head comprised of laser optics, powder nozzles and inert gas tubing to melt powder as it is deposited, layer by layer. The substrate is typically a flat metal plate that the part is built up upon or an existing part that material is added to. The laser creates a molten pool on the build area and powder is sprayed into the pool, which then melts and solidifies. Electron Beam Additive Manufacture (EBAM) creates parts using metal powder or wire welded together using an electron beam as the heat source. 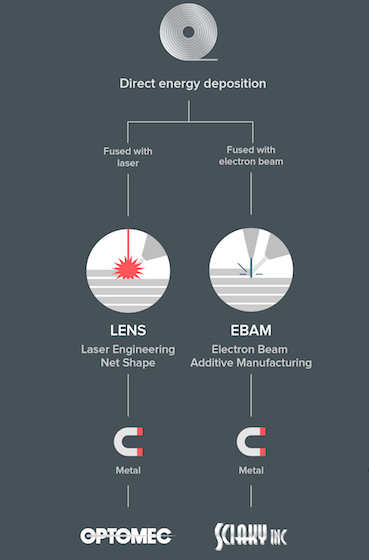 Producing parts in a similar fashion to LENS, electron beams are more efficient than lasers and operate under a vacuum. The technology was originally designed for use in space. 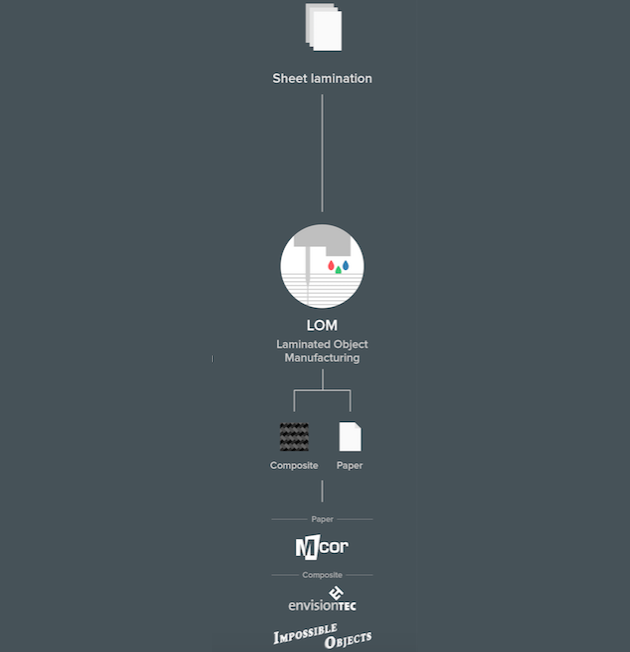 Laminated Object Manufacturing (LOM) uses layers of adhesive-coated paper, plastic or metal laminates that are glued together and cut to shape with a knife or laser cutter. Finished parts can be further modified by machining or drilling. 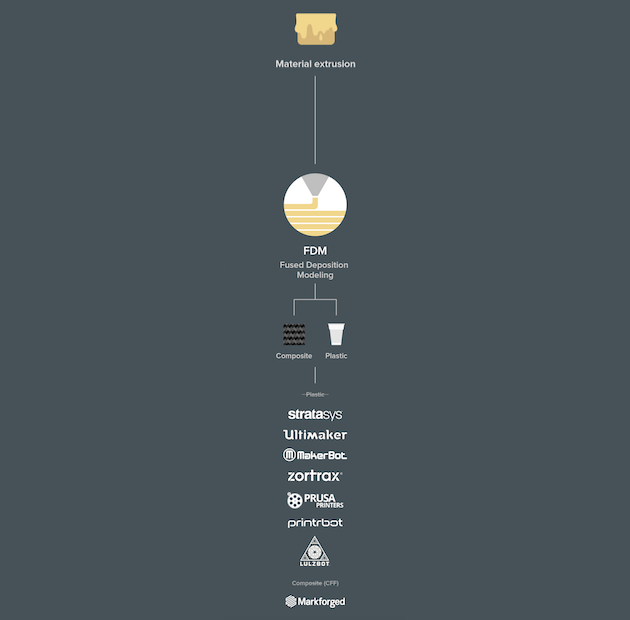 The preceding infographic and AM process descriptions have been reprinted here with permission from 3D Hubs, an international network of 3D printing services. 3D Hubs’ extensive additive manufacturing education knowledge base is available online at www.3dhubs.com/knowledge-base.